Heavy duty traditional style transformer circuit with normal and boost charging modes. Built-in protection against short circuit, reverse polarity and thermal overload. Easy-to-read ammeter monitors charging current. All-metal durable construction for garages and workshops. Includes built-in carry handle and charging leads. 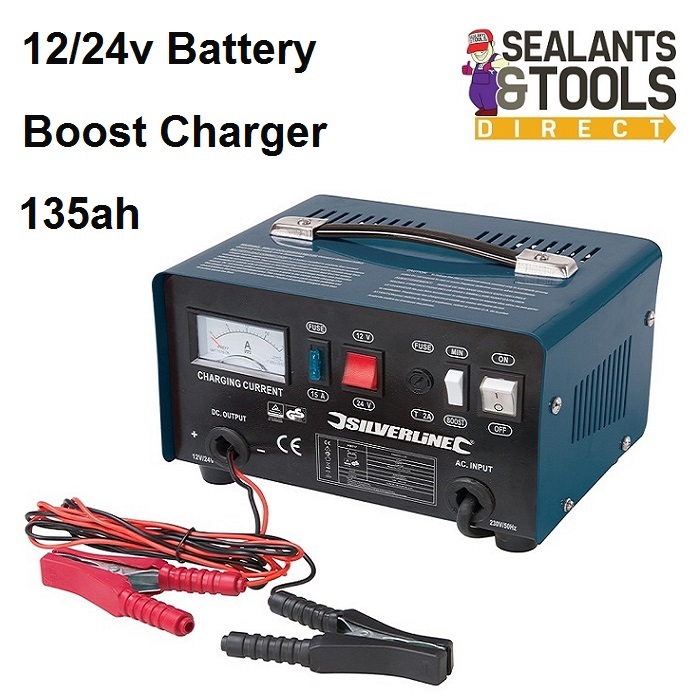 Suitable for 25-135Ah lead acid batteries. Charging voltage 12 volt and 24 volt. this must be done to extend your Silverline Guarantee from 30 days to 3 years.